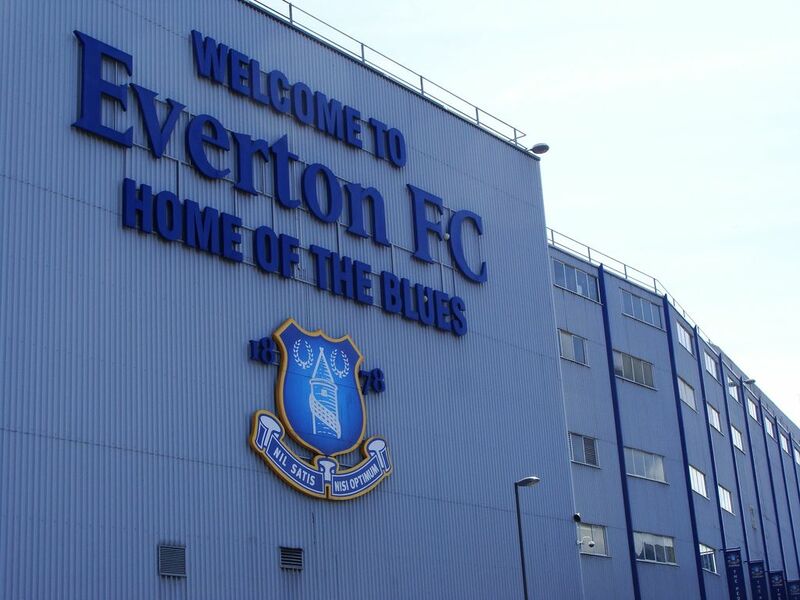 John McCormick writes: I talk to Evertonians most weeks. 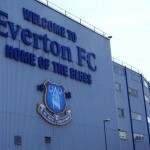 They tend not to be short of opinions – like most fans – but I don’t know how many of them go to Goodison regularly and I have to take much of what is said with a pinch of salt. That’s not the case with today’s guest. Bernard Walker first graced these pages in 2014 (I commend his first “Who are you?” to you) and it’s great to welcome him back. 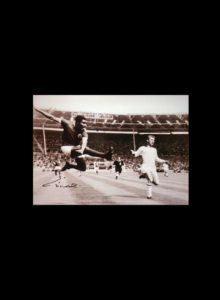 He’s was at Goodison before it was a World cup venue, even before Z cars graced TV, and he’s a keen observer of all things Everton, so much so that some of his answers to our questions might surprise you. When you get to the bottom you’ll find I haven’t asked Bernard if he will be at the game. He will, I’ll be sitting next to him, and I’m really looking forward to it. JMc: A genuinely poor start which already leaves you playing catch-up, or does it just reflect a tough set of opening fixtures? Bernard: The start has been particularly disappointing given the optimism generated by the early activity in the transfer window. If the club has aspirations to be in the Champions League then we have to compete against, and gain points from, the other contenders. The performances just haven’t been good enough, culminating with last night’s debacle in the Europa League. 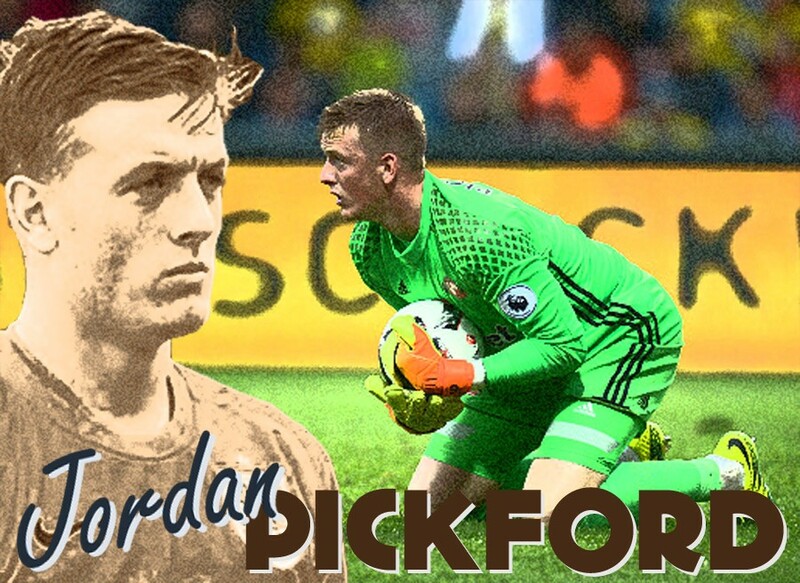 You’ve had some changes – Lukaku being the departure I’m mostly thinking of, and then there’s Rooney and of course Jordan Pickford arriving, among others. What do you think of them? 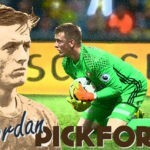 Pickford looks to be a great signing, impressive in every way, particularly his self confidence. The jury’s out on most of the rest, Keane’s looked shaky in the last couple of games, Sigurdsson’s yet to impress, given the fee, apart from his wonder goal against Hajduk Split, as has Klassen while Martina doesn’t look up to it defensively. Vlasic was both a surprise signing and also a selection last night. Which brings me to Rooney. I didn’t want him back both because of the manner of his departure (people forget the bid from Newcastle) and in terms of his footballing contribution. Initially I thought I might have been mistaken but recent events on and off the field bear out my original view. And who else will be important to you this season? I’d hoped to see the emergence of some of the promising talent we have in the Under 23s who impressed for England in the summer but so far Koeman doesn’t seem to want to play them. Tom Davies and Mason Holgate both did well last season but have only made intermittent appearances. Jonjoe Kenny deserves a run as Seamus Coleman’s replacement, he’d certainly be an improvement on Martinez. Kieran Dowell did well in pre season but he’s gone on loan to Nottingham Forest and Ademola Lookman’s impressed for the U23s but not got near the first team squad. His stance has been a real disappointment, particularly in the light of his previous comments about being a local lad who wouldn’t desert the club like Rooney. I think he’s a great talent but needs skilled coaching and management. I’m not sure what’s happened whether it’s the manager or his agent which has brought us to this point. I’d still like to see him stay but the problem is we’ve now got a squad full of no 10s but no width or pace. Which leads me to ask about your hopes for this season, and whether you think you’re stronger than last. A month ago I’d have said stronger apart from the loss of Lukaku and the failure to replace him, but now I’m not at all sure. While I don’t think a true picture ever emerges until October is out the signs aren’t encouraging. Worst case scenario lower mid table flirting with relegation, best case challenging again for top six. Koeman has been on board for a full season now, during which time you’ve reached the Europa League, which can’t be bad. How do you rate him? We’ve had a few of your players recently. Most have not impressed, except perhaps Oviedo and Gibson, despite decent reputations. In particular I’ve heard nothing but good things about Galloway from Evertonians but he has been slated by SAFC fans after some really poor displays. 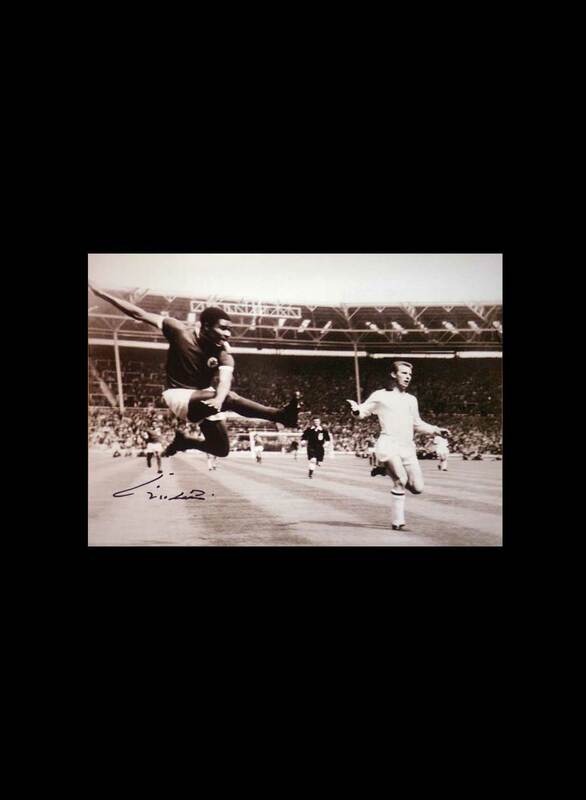 Did you ever see him play and did he merit the praise I’ve heard? And what about any of the others – Browning, for example? Galloway impressed when he deputised for Leighton Baines a couple of seasons ago and he seemed a potential long term replacement. It was a surprise when he was loaned to West Brom and then when it didn’t work out. 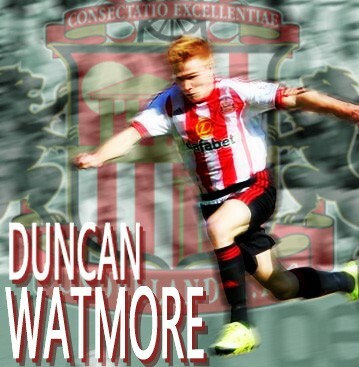 Likewise the loan to Sunderland given the lack of cover in that position. Browning also looked good during his brief appearances, particularly coming on for the first time in the derby. Even then he was reputed to be the best tackler in the club, but unfortunately he had a bad injury which interrupted his progress. James Vaughan was also very well thought of when younger but has become something of a journeyman. As for the rest, Oviedo was popular but injury prone, as was Gibson but the incident with the car (he was banned from driving two years ago – JMc) was a harbinger of recent events on Wearside. McGeady was never more than a Championship player and there’s nothing to add to what’s already been written about Rodwell. You were linked with Kone, at least up in the NorthEast. What do/did you think of him and is there anyone of ours you’d like to have now? 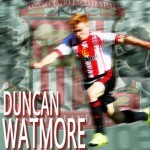 I’d pick Duncan Watmore, he looks to have great potential, a northwest lad and bright with it. What have been your personal high points since you guested for us in 2014? The football played during Martinez’s first season was reminiscent of the great Everton teams, as I said to you at the time. Unfortunately it was all downhill after that. Lukaku looked as though he could score at will during parts of last season, then at other times as though he wasn’t bothered. Matches that stand out are Naithsmith’s hat trick against Chelsea in 2015 and the 4-0 defeat of Manchester City last year. And are there any lows? Best players you’ve seen in your colours since 2014? Without doubt Romelu Lukaku. Probably the best centre forward I’ve seen in an Everton shirt in my 50 odd years of watching them. Seamus Coleman is a joy to watch and his absence has been real blow. It was also good to see the confidence Tom Davies displayed on his emergence into the first team. And are there any who should have been allowed nowhere near Goodison in the last three years? I’ve heard people say a lot of Evertonians are worried the failure of the Liverpool Commonwealth games bid will see their plans for a new ground wrecked. What’s your take on it? Right: tributes to Howard Kendall left outside Goodison after his death in 2015. Not that bothered about it to be frank. As I said when we last spoke I’ll be loath to leave Goodison but the plans for the new stadium seem very impressive and are said not to be dependent on getting the Games. I was never sure how the money for the bid stacked up given the state of the City Council’s finances as a result of austerity. 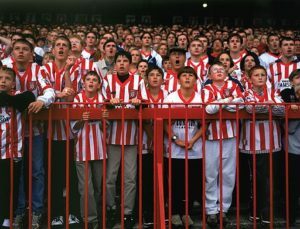 Reducing the cost of away tickets was one step in improving the lot of the ordinary fan. What, in your opinion, remains to be done? In the context of ticket prices overall the costs of watching football at Goodison are reasonable. Season tickets for U11s are £95 and £149 for 11-17s. Top price is £565 and over 65 are £299. There are also good concessions for cup games such as next Wednesday. The constant changing of dates and times of matches is an irritant. While there have always been evening games weekend fixtures on Friday and Monday nights are a real problem for people like my son who lives outside Merseyside. Overall the influence of money and betting in football is a real concern, bigger than we’ve time for here but I’m really disappointed about Everton’s new sponsors. 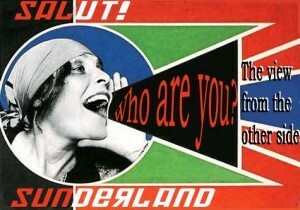 What are your thoughts on Sunderland and its current state? And of Simon Grayson? 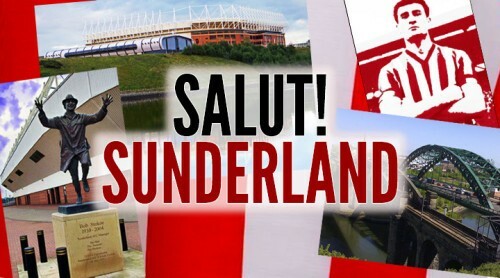 It’s very sad to see the state of Sunderland and I wouldn’t want to rub it in. The recent history demonstrates the dangers of foreign ownership of football clubs which should be regarded as community assets. I would have liked to see David Moyes succeed but recognise he did many things which alienated the fan base. What do you think the score will be and, if you think you’ll win, how far do you reckon you’ll go, even want to go, in this cup competition? 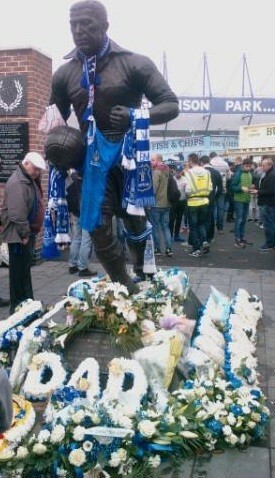 I’m expecting that Everton take the competition seriously and aim to win it, as we’ve never done so. With the FA Cup it’s probably our best chance of a trophy. I’m hoping some of the U23s get a chance but combined with sufficient experience so we won’t be embarrassed. 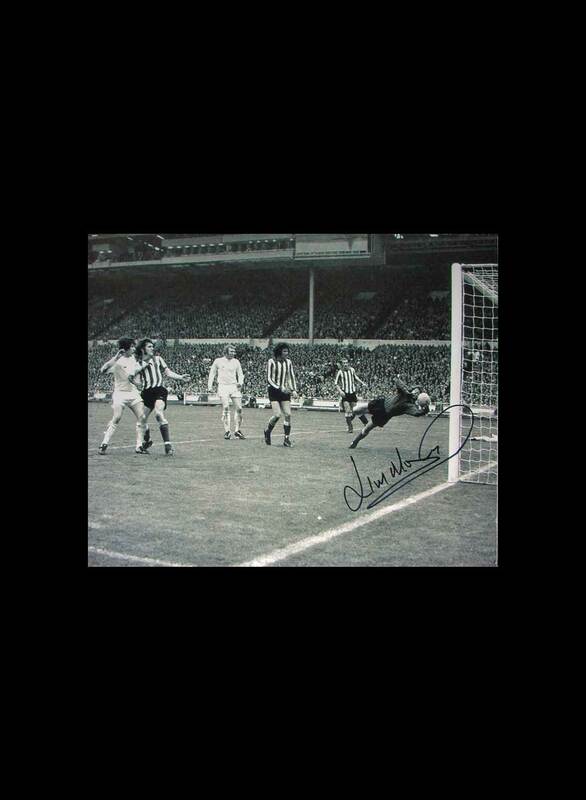 As for a score I’d settle for 3-0 as in the 1966 cup game I mentioned last time. As a teenager growing up in 1960s Liverpool my interests were football, music and social justice; they still are and I’m still here. Now retired I’m enjoying the opportunity to spend (or as my wife would put it waste) more time following them through the wonders of the internet and music streaming. 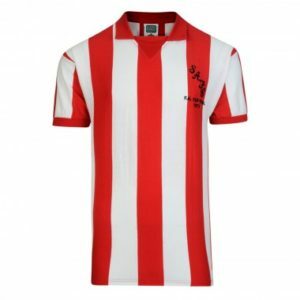 It’s been on the site as a draft since Friday and no-one else picked it up! And I never would have because I wrote it. That’s the human brain for you. Apologies, Jordan. Colin’s corrected it now (and left the original to share my ignominy with the entire world). Thanks for that, Mackem. It has been corrected.